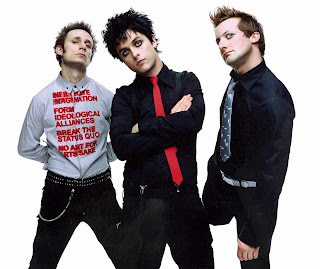 Vocalist/guitarist Billie Joe Armstrong, along bassist Mike Dirnt formed a punk rock band in 1986. They had a drummer, John Kiffmeyer, but he was replaced in 1990 by Tré Cool. The trio called themselves Green Day. In 2012, guitarist Jason White became a full-time member after having performed with the band as a session and touring member since 1999. Green Day was originally part of the punk scene in Berkeley, California. The band's early releases were with the independent record label Lookout! Records. In 1994, its major label debut Dookie (released through Reprise Records) became a breakout success. 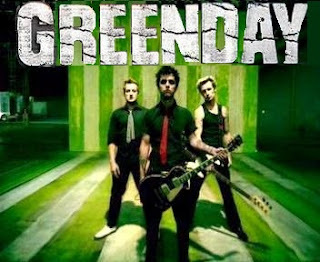 Green Day was widely credited, alongside fellow California punk bands Sublime, Bad Religion, The Offspring and Rancid, with popularizing and reviving mainstream interest in punk rock in the United States. Their next three albums did not achieve the massive success of Dookie, though they were still successful, with Insomniac and Nimrod reaching double platinum and Warning achieving gold status. The band's rock opera, American Idiot (2004), reignited the band's popularity with a younger generation. The band's eighth studio album, 21st Century Breakdown, was released in 2009 and achieved the band's best chart performance to date. 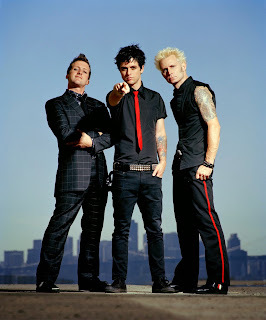 21st Century Breakdown was followed up by a trilogy of albums called ¡Uno!, ¡Dos!, and ¡Tré!, which were released in September, November and December of 2012 respectively. On April 18, 2015, the band was inducted into the Rock and Roll Hall of Fame as a part of the 2015 class, in their first year of eligibility. Billie Joe Armstrong wrote "Good Riddance (Time of Your Life)" in 1990 and did not show the song to his bandmates until the Dookie recording sessions in 1993. During the sessions, the song was determined to be too different from the rest of the songs on Dookie, and producer Rob Cavallo was unsure of how to structure the recording. When the time came to record Nimrod, Armstrong decided to use the song, and Cavallo suggested they add strings to the track. He sent the band to play foosball in another room while he recorded the strings, which took "like fifteen, twenty minutes, maybe a half an hour at the most." Cavallo reflected on his decision to add the strings "I knew we had done the right thing. It was a hit the second I heard it." In comparison to previous Green Day material, "Good Riddance (Time of Your Life)" features more mellow, contemplative lyrics with acoustic music. 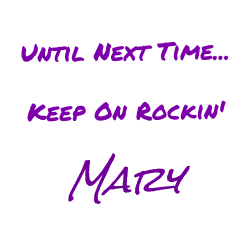 Band member Mike Dirnt went on to state that the release of this song was probably the "most punk" thing they could have done. The song is more commonly promoted on the radio as "Time of Your Life", and was the only song from Nimrod that was a crossover success when released in single form.